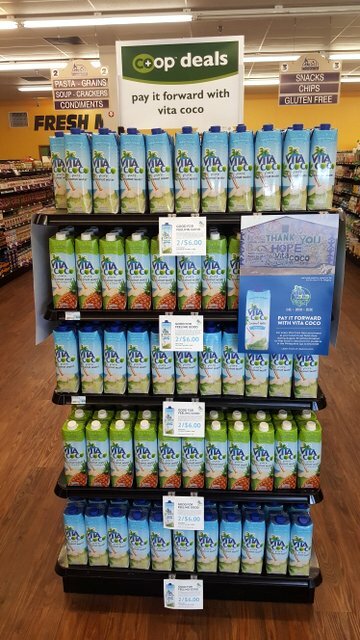 During the month of August 2018, for every Vita Coco item purchased at Basics and other participating Co-ops, $1 will be designated to help build classrooms for students in the Philippines - up to $10,000! Vita Coco’s mission is to lift 1 million people out of poverty through their Give, Grow, Guide program known as The Vita Coco Project. Every day they touch the lives of those in the communities where they source coconuts for their products. Since Vita Coco's humble beginnings in 2004, they have always proudly given back. Now YOU can be an even bigger part of that! When you Buy any Vita Coco item in August you are paying it forward; education is critical to provoke change, and together we are changing the world!